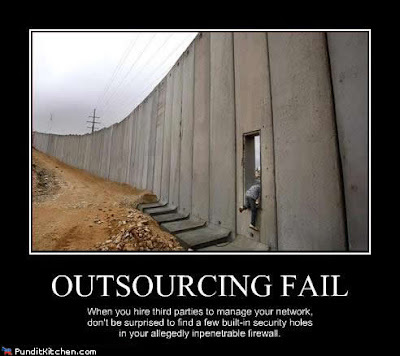 ObiJan Technologies: Security outsourcing: pigs or chickens? Luck has it that I found a picture on a lolcat-related site that illustrates some points better than any presentation I could give. When asking somebody to manage your security, think about bacon and eggs, and ask yourself: Is this person a pig (committed) or chicken (involved)? So, when you have the lowest bidder managing your critical systems, don't be surprised to get exactly what you asked for.